The venomous creature that decorates the Scorpion Fantasy Sword often symbolizes chaos and death. Ancient Egyptians viewed this eight-limbed predator as an omen, using its image as an amulet of protection against evil and bad luck. 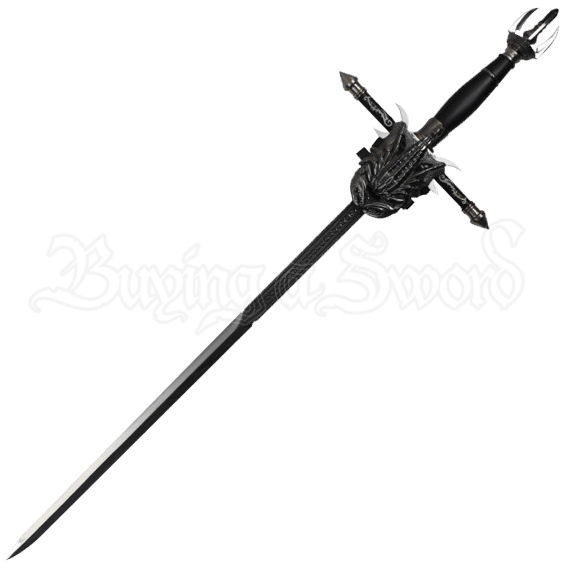 The rapier style blade of this fantasy sword is crafted from stainless steel. 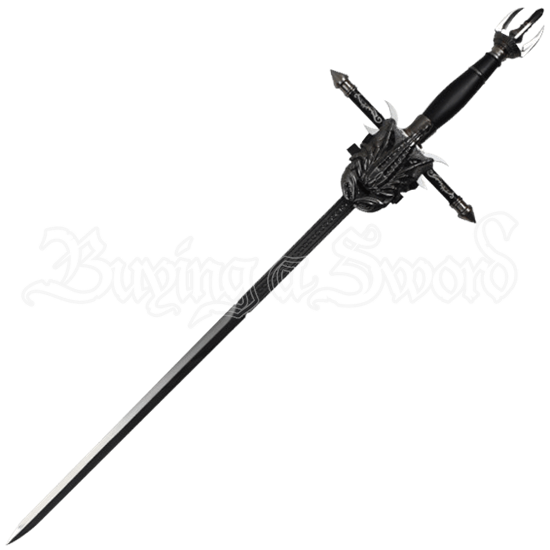 Cast metal details such as spear points and stylized blades decorate the cruciform hilt. Four talon-like blades accent the pommel. Metal accents appear on the black scabbard as well. The detachable hand guard secures magnetically to the cross-guard. It fits over the back of the hand. The hand guard is cast into the shape of a highly detailed scorpion.